Vice President – Varsity “S” Club. Team that finished third in the NCAA College World Series. Drafted by the Baltimore Orioles in 1953 and after serving in the armed forces was offered a contract by the New York Yankees. Started the Wrestling Program in 1959 and coached through 1965 with a record of 84-20-1 and five League Titles. Coached Football from 1962-1966 with a record of 28-10-4 and two League Titles. 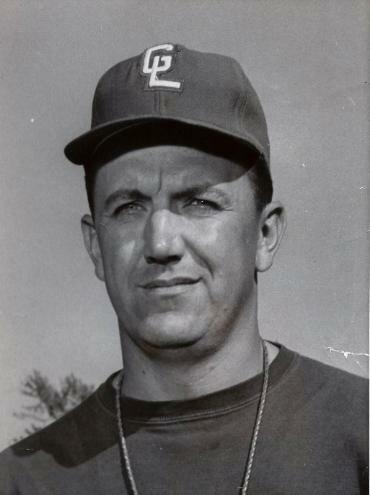 Coached Baseball from 1961-1966 with a record of 85-27, two League Titles and two Diamond Classic Championships. Killed in an auto accident in 1966 at age 36.